Stay Tuned! Much fun ahead! Not Another Romance Blog was started in the Spring of 2010 with the goal of providing the romance novel reading community with good, honest reviews, interesting dialogue, guest posts, and interviews with authors both established and debuting, and a little spice of the founder's personality peppering each & every post. The goal was to make each unique click on the site like walking into my home, sitting down on a settee, and settling in for some good book chat with a fellow addict. Just look at the blog's tag line to see what it's all about: "An Overdose on your favorite drug, because addicts need LOVE too". 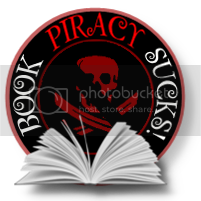 This blog was started and is still maintained by Historical Romance Junkie Rita. Find more info on blogger profile. The books reviewed on this blog are rated on a scale of 1-5 "Red Roses".